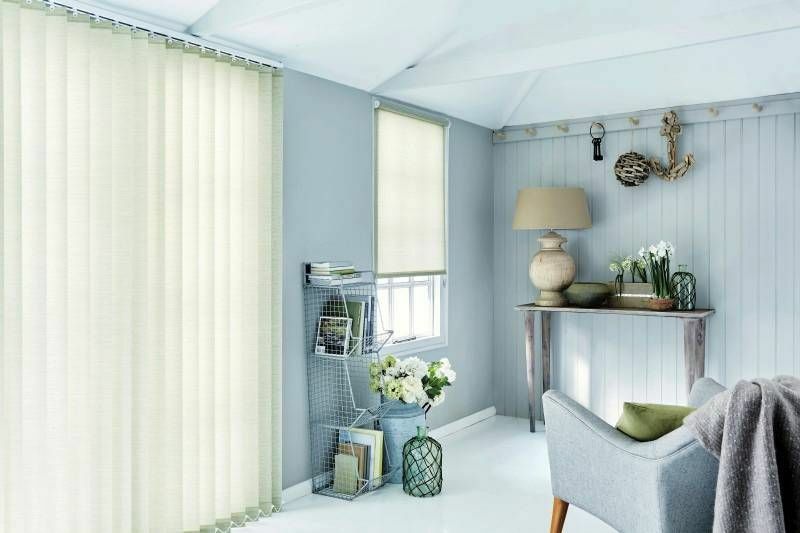 Top quality luxurious, versatile vertical blinds. 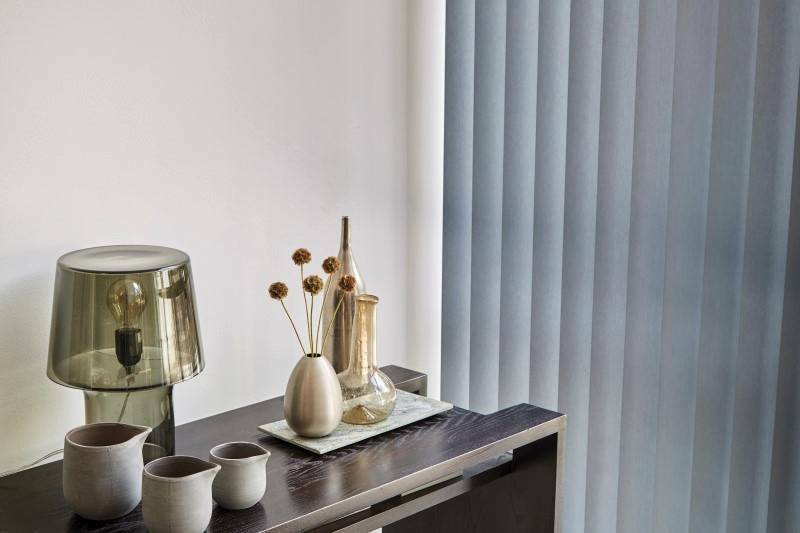 Made to measure for that perfect fit. 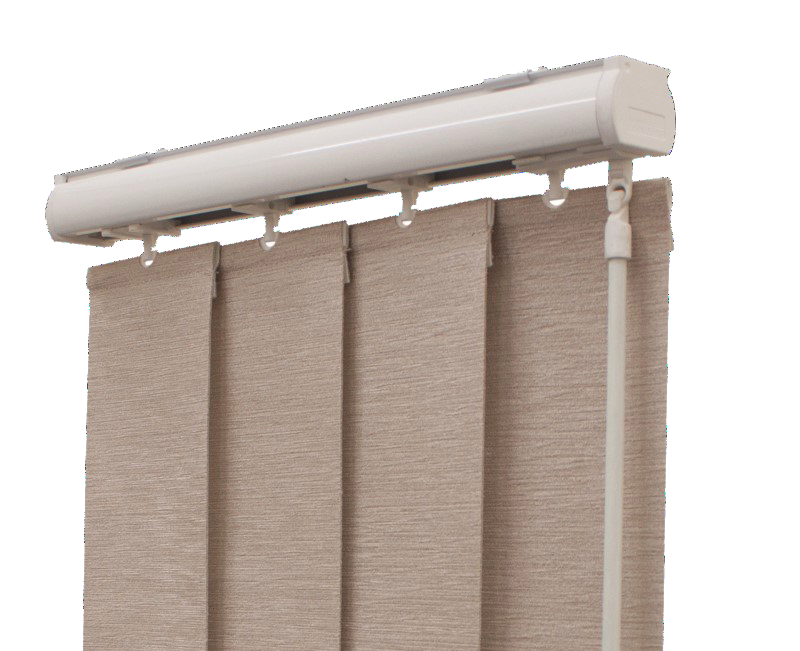 Fitted with Cord tidies as standard or use our wand control system for complete peace of mind. 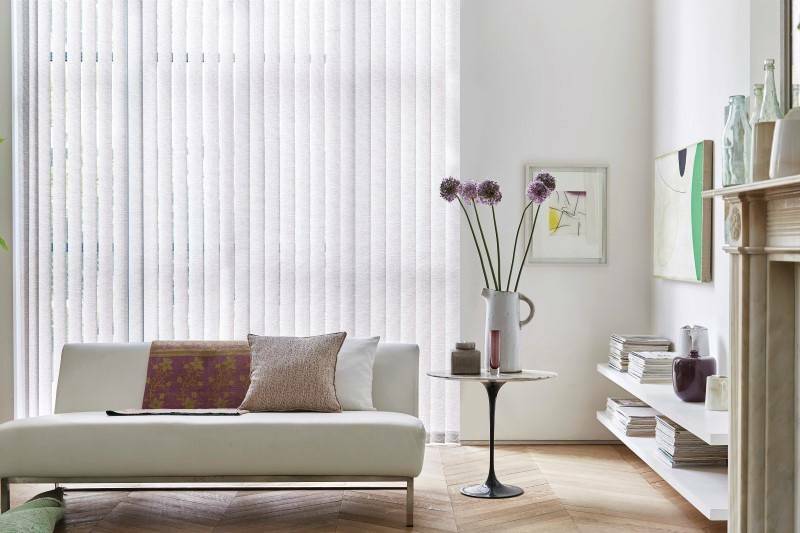 We will help you design, we will measure and get your vertical blinds manufactured to the exact size and fit them as well. 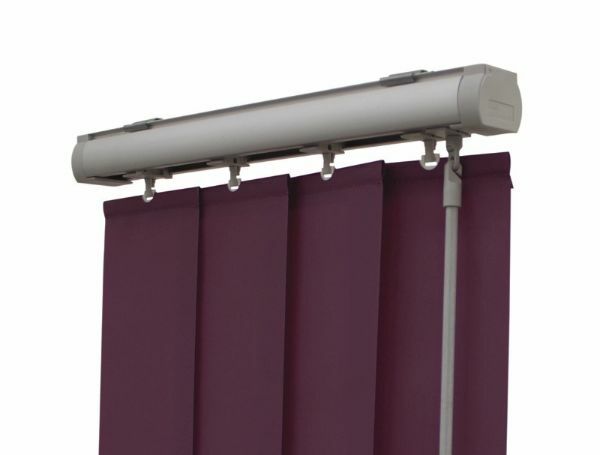 And don't forget we have a showroom with a landline number should you need to get hold of us. 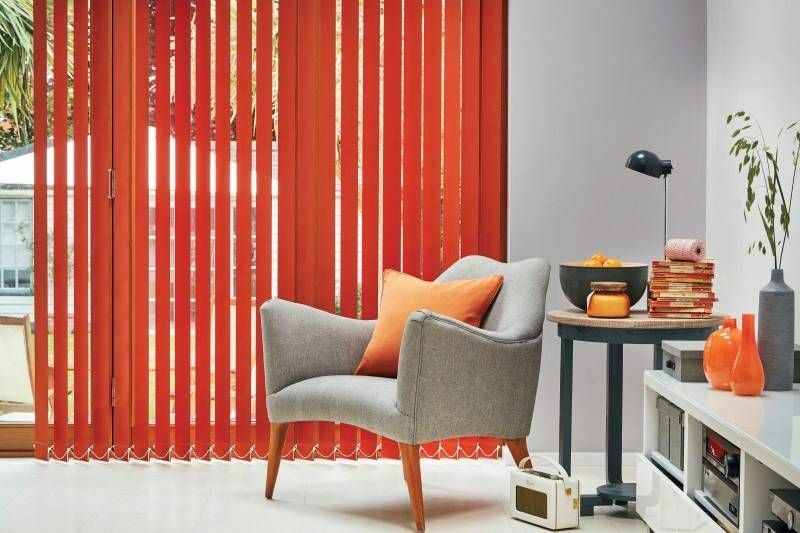 Vertical blinds are the most versatile of all the blinds, giving excellent control over the amount of light entering the room while also being incredibly easy to draw back for cleaning or access. 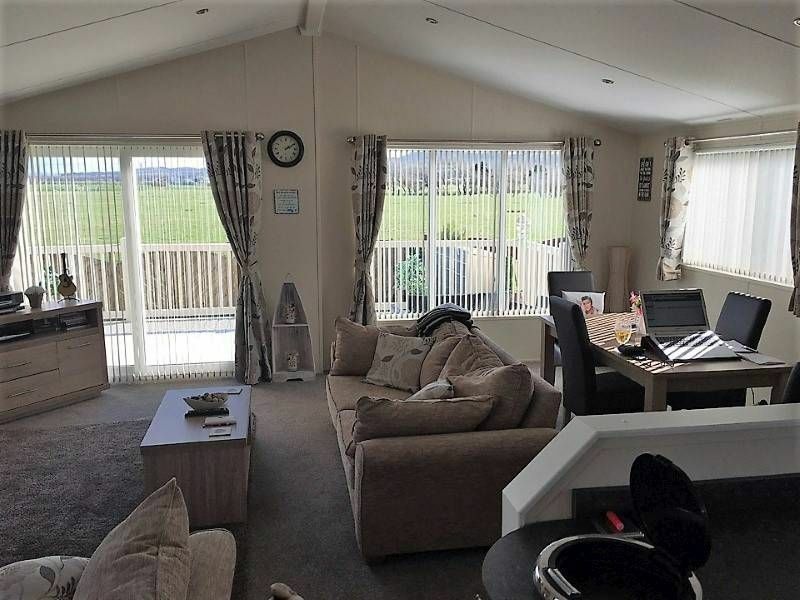 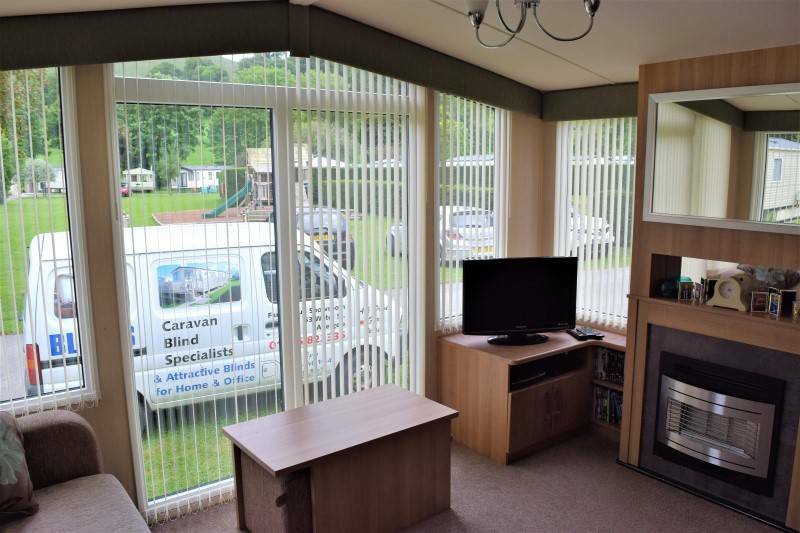 Three different slat widths, 2.5", 3.5" and 5", provide the choice you need for your situation, making Vertical Blinds the ideal choice for conservatory, living room, bedrooms and even caravans. 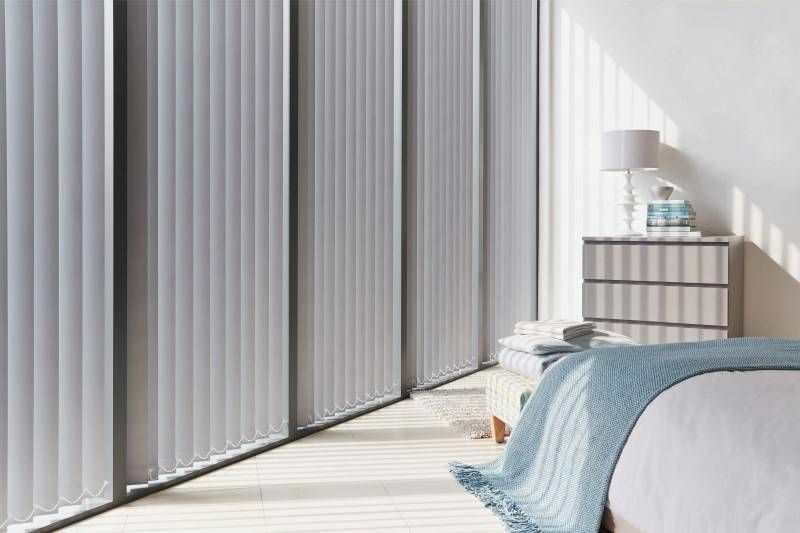 Vertical blinds can befitted at an angle to suit sloping windows or be curved to suit bay windows. Add a further degree of luxury with one or truly stunning coloured headrails -Ice White, Brushed Silver, Champagne Gold, Expresso Brown and Piano Black. 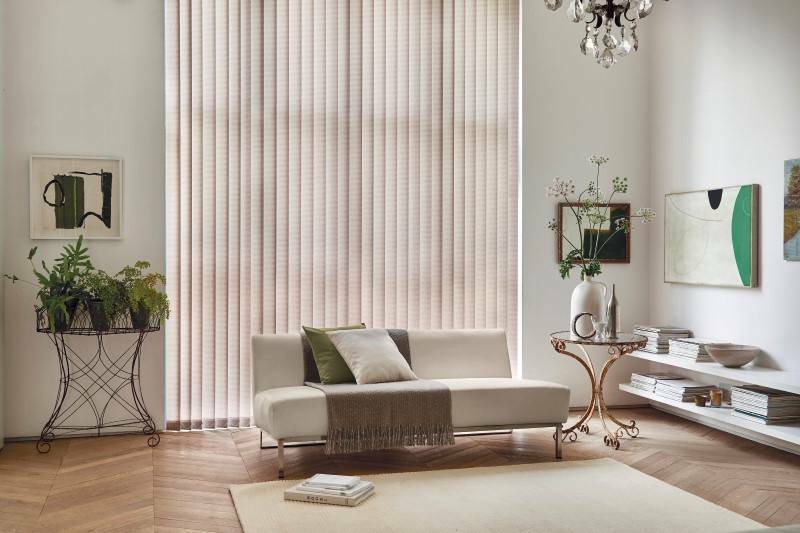 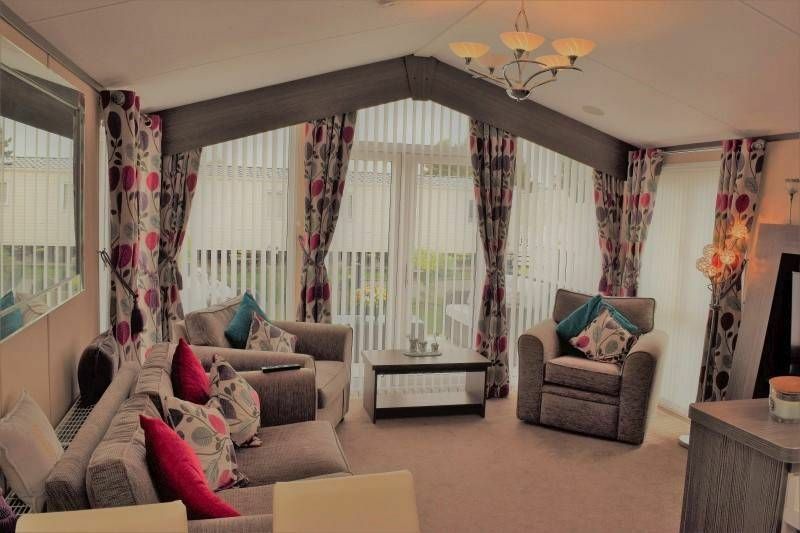 Made-to-measure blinds for the Abergele, Rhyl and Perstatyn area. 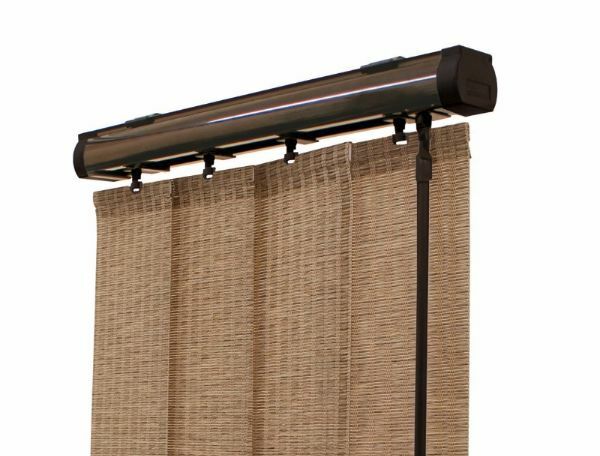 Vertical blinds can be made to draw each side like curtains or to all draw one way. 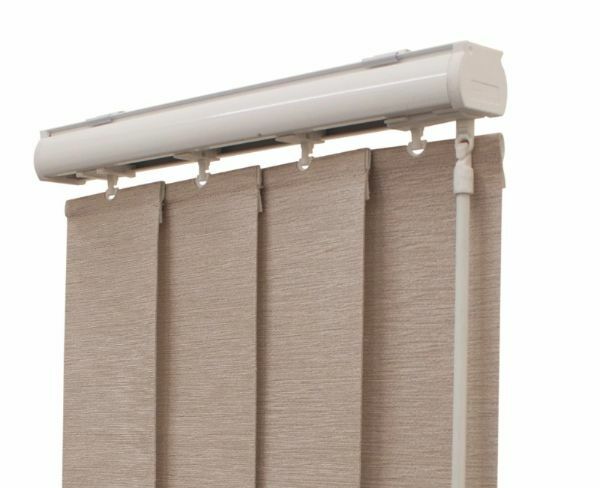 With a wand control you can easily swish your blinds open and shut and twist the wand to rotate the slats. 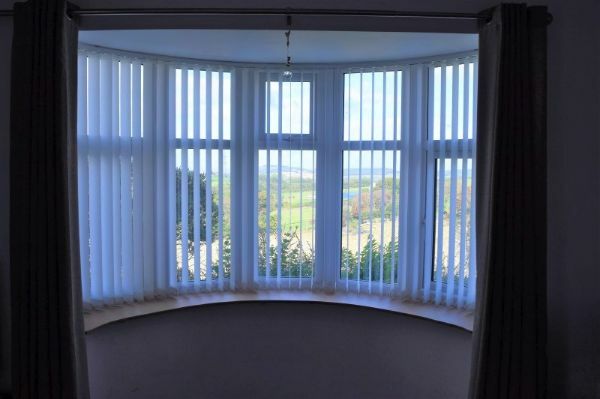 With the headrail fitted at the same angle as the window we make each slat slightly smaller than the last to make them perfectly straight at the bottom. 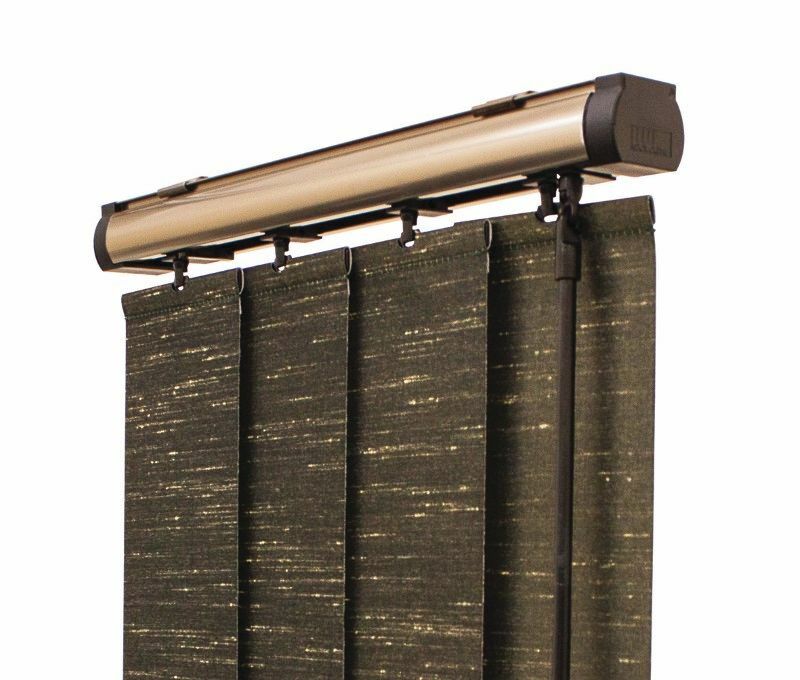 Headrails can be shaped to any true curve matching the curve of your windows. 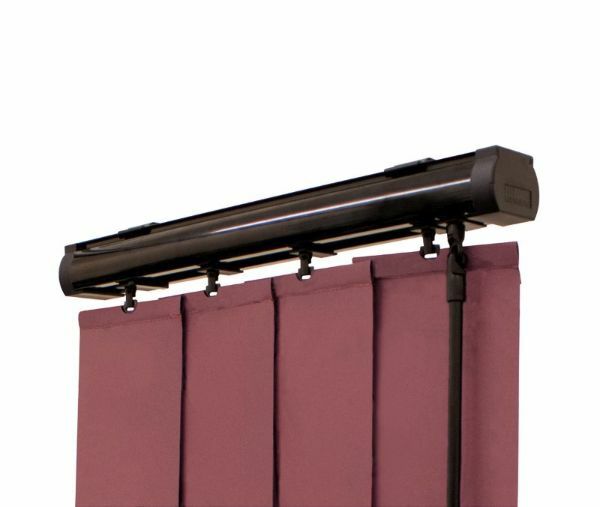 Expertly manufactured using the latest machinery and quality components to ensure a smooth action.